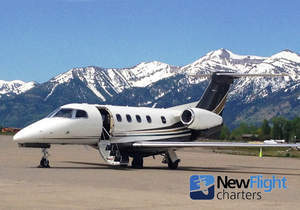 JACKSON HOLE, WY--(Marketwired - Jun 7, 2016) - U.S. air charter industry leader New Flight Charters announces the Better Business Bureau (BBB) has awarded it an A+ rating. The BBB has been tracking New Flight Charters since 2011, and the rating is based on 13 different factors revolving around customer satisfaction. According to the BBB, factors that raised the rating for New Flight Charters include length of time in business (12 years) along with no complaints filed.